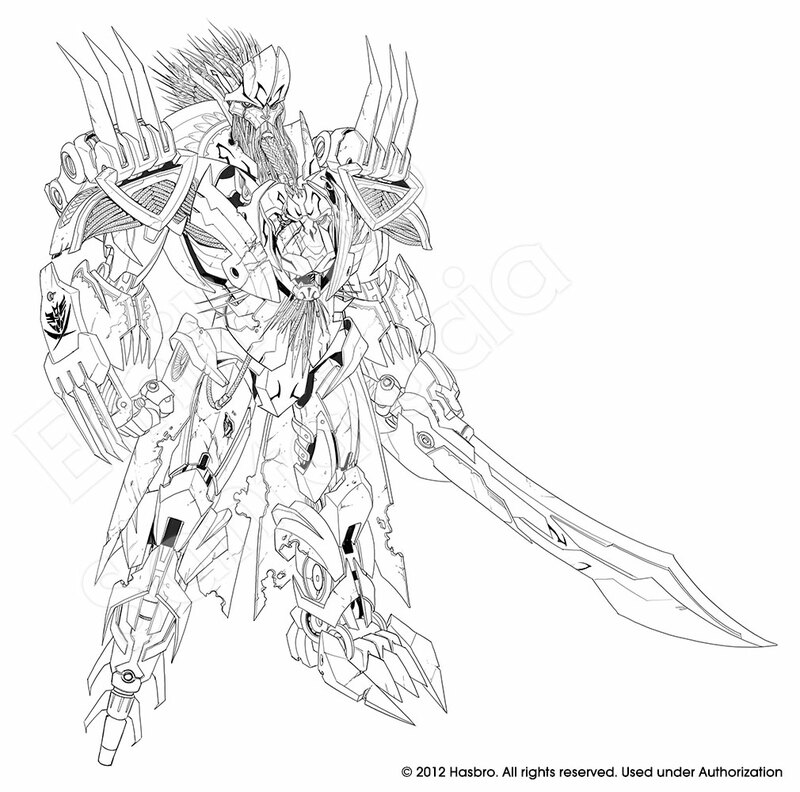 Santalux: Emiliano Santalucia's Blog: Thundertron concept sketches! Remember the recent post about Thundertron? 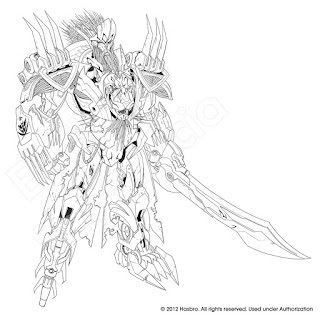 The new Transformers character introduced in the Exodus novel? 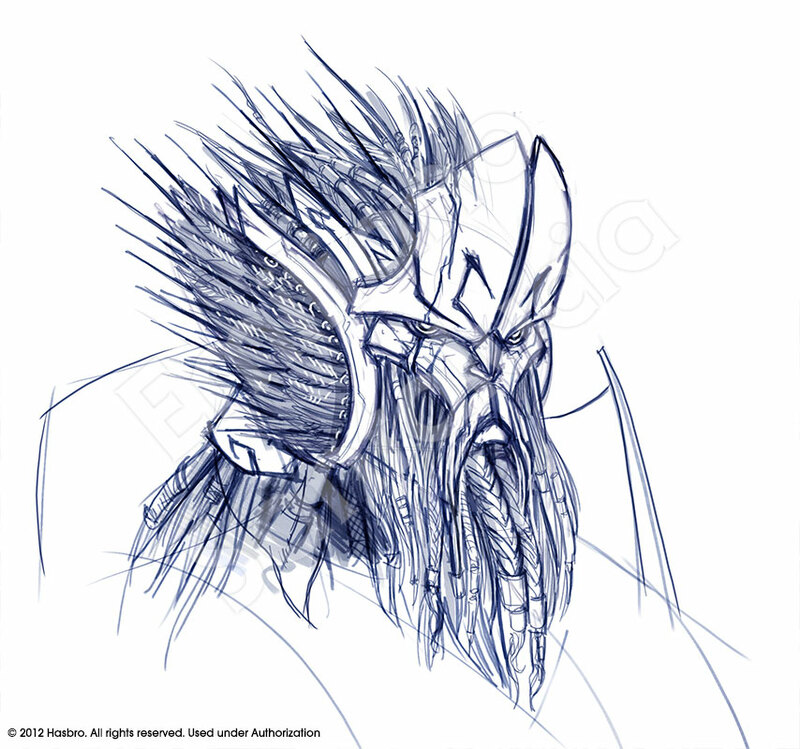 Well, the folks at Hasbro have been nice enough to give me permission to share my original concept sketches for him! As a fan and a designer, sometime I enjoy a lot seeing the process behind a design (some time even more! 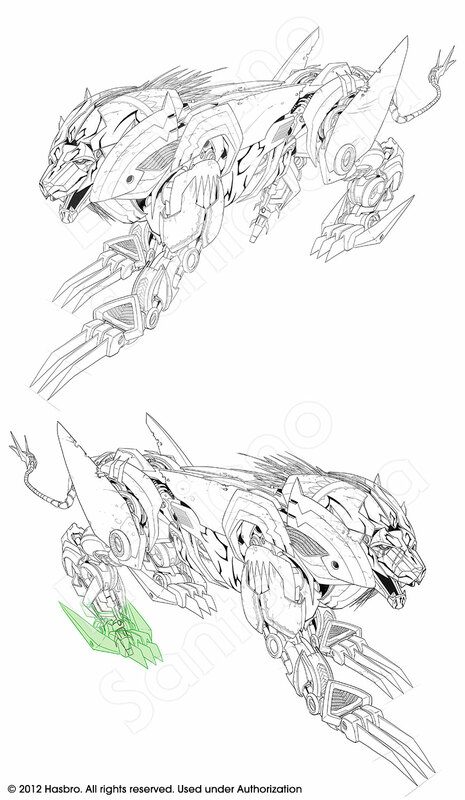 ), so instead of posting just the final clean sketch for Thundertron, I wanted to share also a bunch of other sketches to show how the design evolved. You can see one of the preliminary sketch, the following finalized pencils based on Aaron Archer's suggestions and the final ink drawing. BTW, pencils and inks are now just terms for various stage in the process, all steps have been executed digitally. Also I'm including the head study based on Aaron's awesome direction. If you look closer, in the final pencil I just shrinked and pasted the same head on the rest of the body, and then inked it. Overall was a great concept to work on, trying to include some recognizable pirates elements and silhouette while keeping it cool and not to distant from the Transformers Prime visuals. I didn't get to color it, but I'm very happy with the color choice Hasbro went for! I very much want to buy both the US version and the AM version of this toy. Oh man this is great! I love seeing how the ideas for a character change and consolidate before they become a toy! Brilliant! I love the beard and the pirate hat look to his forehead, great combination of pirate staples! Oh ! Thundertron's lion appearance reminds me a little bit of the MOTU meteorb Astro-Lion ! It might just be a coincidence, but I like it nonetheless ! That's neat! I like getting some insight into the design project from sketch to toy! Great design ! 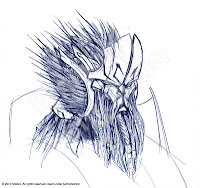 Like to see the sketches for the toy I just owned. The He-Man and She-Ra Blog!